ORLANDO, FL, Sporting Alert – College football bowl games schedule continues on Tuesday with three more matchups, including the day’s highlighted battle between North Carolina and Baylor in the Russell Athletic Bowl. At Florida Citrus Bowl here in Orlando, the No. 10 ranked Tar Heels and No. 17 Bears, two teams which had big ambitions of making the College Football Playoffs until the dream collapse during the late season fixtures, will now look to close out the season on a winning note when they battle for the Russell Athletic Bowl. Both teams come into this matchup with powerful offenses so expect the scoreboard to tick over very frequently on Tuesday when the two programs meet for the first time. In fact, Baylor is ranked No. 1 in college football for points scored per game, at a blistering 48.3, while its ability to run the ball regularly sees them averaging 300.2 rushing yards per contest. North Carolina, in the meantime, is averaging 40.9 points, which is ranked 11th in the country, while averaging 222.9 yards on the ground per game, which is 22nd. Baylor (9-3) started the season strongly but failed to win the big games and fell out of the conversation for a college football playoff spot. The Tar Heels (11-2), after starting the season with a defeat, recovered to launched an 11-game winning streak, but just when things were looking good, their hopes of securing a CFP spot came crashing in the ACC championship game where they were beaten by No. 1 Clemson. There will be a lot of talented players to look out for in this game, but the Bears’ will be without injured star wide receiver Corey Coleman (hernia), who has taken 74 catches for 1363 yards and 20 touchdowns this season. Also out for the Big 12 powerhouses are quarterbacks Seth Russell (neck) and Jarrett Stidham (heel) and starting running back Shock Linwood (foot). 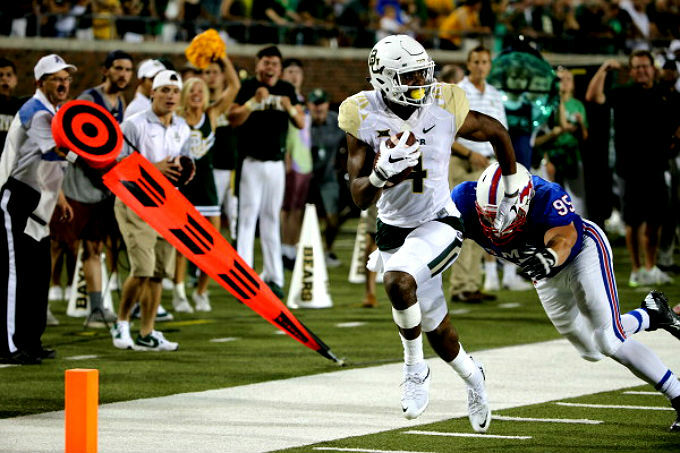 With Russell and Stidham both out, third-string QB Chris Johnson will make his third straight start for Baylor. Meanwhile, North Carolina will look to star quarterback Marquise Williams, who broke his own single-season school record for rushing yards with 867 yards this term, to continue leading on offense, along with running back Elijah Hood, who is also enjoying a very productive season for the Tar Heels. The Bears are 10-11 in bowl games and have dropped the last two, including last year’s defeat to Michigan State for the Cotton Bowl in their first-ever New Year’s Six bowl appearance, so they will be hoping to end that skid. The Tar Heels, in the meantime, are aiming for an unprecedented 12th win this season, and they will start at 3.5-point favorites, according to vegasinsider.com. Meanwhile, in Houston, Texas, at the NRG Stadium, No. 20 LSU and coach Les Miles will hope to conclude what has been a very rocky campaign on a high against Texas Tech in the Texas Bowl. The Tigers (8-3) have not enjoyed this season at all, but can put down a marker to build on for next season with a win against Red Raiders (7-5). Expect star running back Leonard Fournette, who has 271 carries for 1741 yards and 18 touchdowns this season to get going for LSU against a Texas Tech running defense that is one of the poorest in the country. The Red Raiders are giving up 271.8 yards rushing a game, which ranks 125th these days. However, they have been very good on offense, putting up 46.6 point per game, which ranked second in the country — with quarterback Patrick Mahomes II leading the way as he’s passed for 4,283 yards and 32 touchdowns. LSU makes its 16th straight bowl game (a school record) and 11th under coach Miles, while Texas Tech is making its 14th bowl games in the last 16 years. Oddsmakers listed LSU as 7-point favorite to win the Texas Bowl. In other college bowl games on Tuesday, Nevada (6-6) and Colorado State (7-5) clash for the Arizona Bowl, while Armed Forces Bowl will see Air Force and California (7-5) fight for the honor.